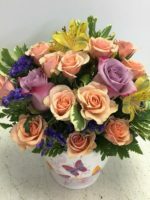 Rosey spray roses are the highlight of this great Rosey Springtime Funtime floral arrangement custom designed by Pamela E Smith of Roadrunner Florist. 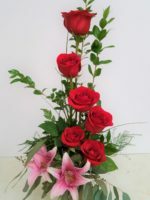 Rosey spray roses are the highlight of this great Rosey Springtime Funtime floral arrangement custom designed by Pamela E Smith of Roadrunner Florist. 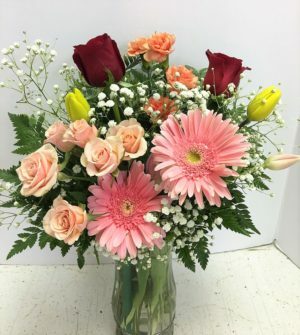 Unique to our shop, it’s as pretty as pretty can be! 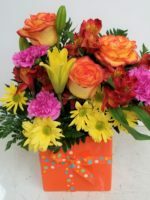 She’ll love the fresh flowers such as gerbera daisies, roses and tulips, which are springtime seasonal. 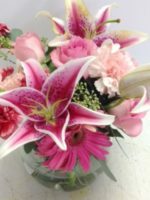 The colors will splash, too! 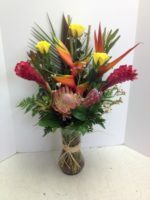 We reserve the right to substitute flowers if necessary. 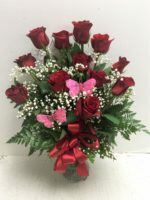 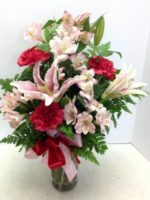 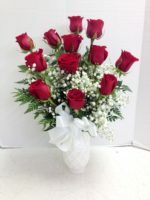 Other options you might consider include our Short and Sassy Arrangement and our Spring in Bloom Arrangement.